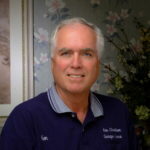 In my 54 years as a Garage Door Repairman, I have performed over 150,000 garage door repairs and built and installed many thousands of Garage Doors and openers. That qualifies me as an expert in this field. People have called me O.G. That is Old Gangster in the Gang Speak, but in my case it means OLD GARAGE DOOR REPAIRMAN. Even though so many years have passed, I still enjoy working and figuring out problems, so this is not just a profession, it is a labor of love. God has blessed me and given me a wonderful family and at this stage of life and I’m very happy and thankful. My guiding principle in business has always been EXCELLENT CUSTOMER SERVICE and 100% GUARANTY ON MY WORK. I do SAME DAY SERVICE and FREE ESTIMATES for all garage door repairs. We have technicians available day and night: With our 54 years of experience in the garage door business, we understand that problems with garage doors and openers can occur beyond normal working hours. Thus, we make sure that our trained experts are always available for emergency garage door repair. We are available even on holidays and weekends. It is not always possible to get garage door services on weekdays, when people are already in the midst of fulfilling their professional commitments. Our garage door services are available on weekends and holidays. In fact, we are highly acknowledged for providing 24 hour garage door repair service. Every homeowner should understand that garage door problems do not always occur at convenient hours of the day. When there is a serious malfunctioning in the garage door, you may not even get the chance to wait for the normal business hours. However, if you are based in the Inland Empire, you can always avail the services of the company Ken Davidson Garage Door Repair Service. Here, we provide 24-hour garage door repair to deal with garage door issues at odd hours of the day and night. With our emergency garage door repair services, our professionals make sure that we reach your premises immediately and deal with all the issues. In the event your door comes off track, call a professional from Ken Davidson Garage Doors Repair Ontario before attempting to use the door again. Doing so could be the difference between being able to repair or needing to replace your garage door. Panels on a garage can be dented or bent easily. Using your garage door in this condition could cause serious additional damage to your door. In some cases, you can pull the door completely off the tracks. We are the #1 Garage Door Repair Service in the Inland Empire. We offer 24/7 emergency service and free estimates, so call today! When the time comes for you to buy new springs you should consider how long you plan on living in your home. If you will be living there for less than five years you should buy the standard 10,000 cycle life torsion spring. This will give you five to seven years of continuous use. If instead, you plan to live there for many years to come, then consider buying a High Cycle Life Spring. It will cost a little more but you will save hundreds of dollars over next 15 years in labor costs. Instead of paying a labor charge every 5 to 7 years, you will pay only one labor charge. That alone is over $200 savings. Let Garage Door Repair Ontario Tune-Up your door and opener. Is your garage door loud? Is it lowering and raising slowly and gradually or even jumping on the tracks? Our technicians will make sure all of your components are in working condition and provide you with a full tune-up. Save money on downright costly repairs by receiving a garage tune-up today! Are you in need of a brand-new garage door? Whether your home’s door is old and broken down or you want to update the visual appeal of your home with a custom garage door, our technicians will give you the service you deserve at a good price. Question: Why the garage door is making strange noises? Answer: If your garage door started to make strange noises, it usually mean that there is a problem with one or more parts of the garage door (and it also indicate that you probably ignored the need for garage door maintenance). In many cases, replacing the rollers and lubricating the garage door can solve the problem. In general, a yearly maintenance should cover the need for maintenance, and if needed, it include rollers replacement. Whether it is a garage door maintenance in Ontario, or overhead door tune up in Ontario, every garage door need to be tuned. Question: What is the price of a new garage door? Answer: We always answer the same way to that question – if you will tell us what is the price of a new car, we will tell you the price of a new garage door… To be serious, the garage door prices are ranging between 200$-100,000$, it all depend on the size, the kind, the installation, yes opener, no window, insulated, material, etc… But what we can say, is that a good garage door installation include a high quality garage door, and since a high quality garage door should last for many years, we recommend you to invest some more money, and get a high quality garage door, from the kind that will serve you for many years. Question: My garage door opener does not work, what is wrong with it? Answer: There are many reasons that can lead to a garage door opener that does not work properly. It is hard for us to try and figure the problem without inspecting the opener, and locate the problem. From safety sensor problem, to a gear problem, to a broken spring or torn cable which affect the way the opener work. If there is one thing we can recommend you, is that if there is a problem with your garage door opener, avoid using the garage door, since it can lead to a bigger damage. (Sometime the opener is disengaged from the carriage, and although everything is fine, and there is no problem with the opener, the garage door itself doesn’t move. If that is the case, all you need to do is to reengage the opener, and the door will work again). Question: My garage door is out of track, what should I do? Answer: There are many reasons that can lead to an out of track garage door. The most important thing, is to stop using the door, and to avoid forcing the garage door back into track, since that can be dangerous and can cause a greater damage. It may seem easy to push the roller back into the track, but by doing that you did not solve the reason that lead to an out of track garage door. But no need to worry, we offer a 24-7 emergency garage door repair in Ontario, so you know that no matter what time or what day, someone will always be there for you. Question: When my garage door is released, it fall, what should I do? Answer: A good garage door, which is correctly balanced, should stay at the same position by the force of the springs. 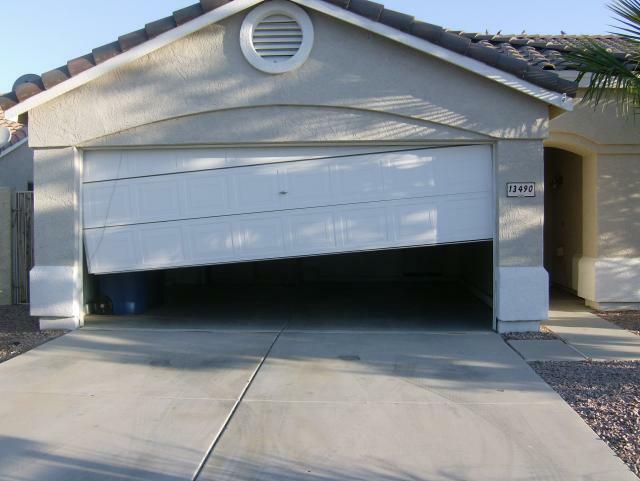 If your garage door is falling down, most likely that you need some adjustment or spring replacement. Maybe now it is time to make it clear that the force which make it easy to lift the heavy door, or the force which prevent the door from crashing into the floor is not the garage door motor, but the garage door spring system. Question: One of the springs broke, what should I do? service in Ontario, Ken Davidson Garage Doors is the answer. working properly, we are always ready to help. Not once in the past we provided repairs for roll up gates and garage door repairs in Ontario, because when someone need our help, we will never say no. We believe in high quality service, and we believe that when you provide good service, people know how to appreciate it. Just take a look on our reviews about garage door repairs in Ontario, to understand how much appreciation we get from our customers in Ontario, who trust us to fix their roll up gate on time, to charge a fair amount, and to do a professional repair. As a company that offer all kinds of overhead doors and rolling gates services in Ontario, we also offer new roll up gate installation service in Ontario. When you are looking for a new store front gate in Ontario, or for a commercial roll door repair in Ontario, there are few things you should know. repairs in the next winter. But if you are using the best roll up gate supplier in Ontario, you will get a roll gate that can last for 30 years and more, and besides greasing every 6 months, will not require any service even during the toughest months of the winter in Ontario. gates in Ontario. And to get the best possible installation for your new rolling gate in Ontario, aim for the best. We do not offer the cheapest prices in Ontario. But what we do offer is high quality service and professional technicians. There are many handymen in Ontario who claim they can fix rolling gates and install new rolling gates, but the truth is that there is no replacement for being a pro. If you need a new roll up gate installation in Ontario, use the services of a rolling gate specialist, who will be able to deal with the difficulties that a rolling gate installer in Ontario need to face. the old gate in the new location, he found that it is not as easy as it seemed. The conclusion from that story (And from many other stories we will share in the future)? Listen to the professionals, and to the people that fixing roll up gates in Ontario is what they do, and who can say that after so many years in the field, there is no rolling gate, roll up door, or any other kind of steel gate in Brooklyn that can surprise them. probability that someone might accidentally push the open button while not in range and de-synchronize the code, the transmitter and receiver generate look-a-head codes ahead of time. This system is used by roller shutter remote controls as well as sectional and up and over garage door operators. As well as these advances in remote control operation things have developed in the mechanics of the operator boom and tow arm system to ensure the garage door is held firmly closed and even locked in three places. Security is really the main feature as well as complete safety in all modern garage door operators. be an additional safety device to a standard auto return system. The latest CE standards require a very fast reaction time for the operator motor to reverse as soon as it has struck an obstacle for minimization of potential injury when obstructed. Soft start and stop operation now ensures a gentle closing and opening action taking stress out of the garage door mechanism whilst offering a smoother and quieter movement. All the leading European manufacturers also now use 24v DC motors for total reliability and quietness. The Cardale Autoglide electric operator – specifically designed for Cardale canopy garage doors. The Autoglide is no longer available and we still recommend as we have for many years the use of the canopy bow arm converter with a good quality boom type operator. Canopy garage doors (springs across the top of the door) are notoriously awkward to automate properly and should be very well balanced before installing any kind of operator system. Canopy door bow arm convertors used with boom operators will not automate all makes of canopy garage doors but are very good on the garage doors they will work with. Speak to our sales experts for advice on the best operator for your door make and type. Ken Davidson Garage Doors can offer a whole range of different electric operators for steel, GRP and timber side hinged garage doors and there are 2 main types used. One utilizes the standard boom type operator used for all other types of doors along with a conversion kit and the other type uses electromagnetic or hydraulic piston driven units very similar to the type used for electric swing gates. Accessories have also developed with technological advances and many other methods of activating Hormann fingerscan access control the garage door opener are now available other than a hand held remote, which quite often is misplaced or dropped and broken. External wireless keypads are very useful when you have a lot of people in your family using the garage door frequently, especially if for accessing fridges, freezers, bikes or other items which are retrieved on foot.